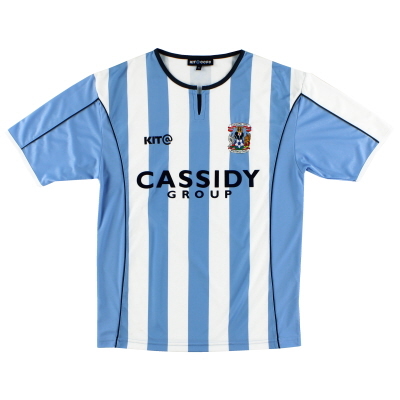 Talk to football fans about Coventry City kits and without fail someone will mention the infamous brown ‘tramlined’ Admiral away strip from the late 1970s thats often voted the worst kit of all time. 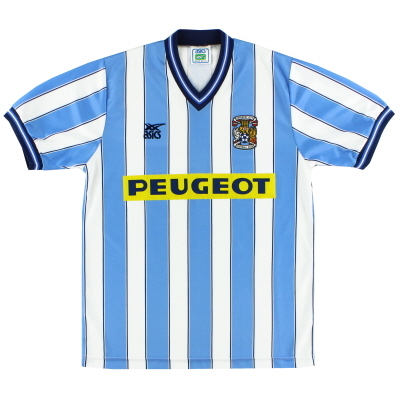 But of course its sky blue that plays the prominent role in the team’s recent kit history although on examing the huge array of outfits the club wore before permanently adopting the colour in 1962 (courtesy of then manager Jimmy Hill) you could deduce that the side have suffered from a fashion identity crisis for much of their life.Formed as Singers FC in 1883, early outfits saw the side turn out in black and red complete with a large red ‘S’ motif over the heart. 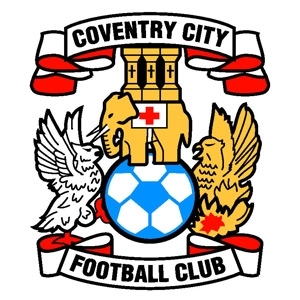 On changing their name to Coventry City 15 years later sky blue and navy blue halved shirts were worn. 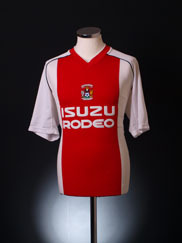 Then came a few years of various combinations of different shades of blues followed by a curious short term patronage of red and green halves (now that would make a good away kit today!) 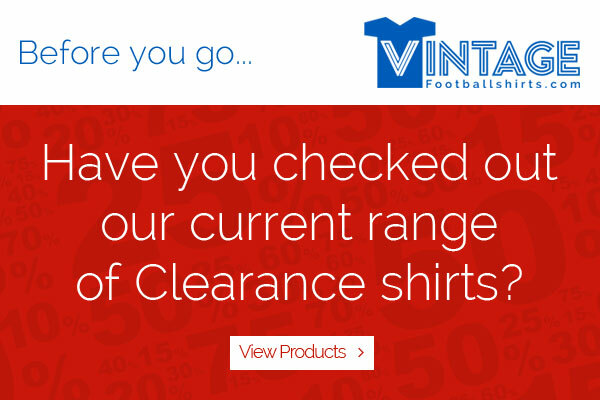 in the 1920s.From 1924 to 1962 royal blue and white were worn by the side in varying designs, predominantly striped.Away from home white, red, yellow and of course brown have all been worn, although one of the club’s more fondly remembered change strips was the early 1970s green and black striped kit.The club (and especially Jimmy Hill) have never been shy of embracing commercialism and in the early 1980s attempted to change their name to ‘Coventry Talbot’ whilst wearing a kit formed based entirely around Talbot’s large ‘T’ logo. 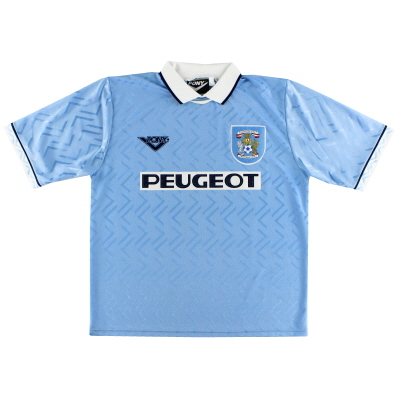 At the time shirt sponsorship was banned on TV so should the Match of the Day or Big Match cameras arrive at Highfield Road a completely different kit had to be worn. 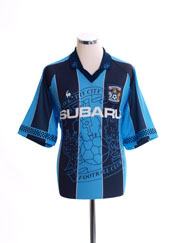 Since then the club have never been short of a shirt sponsor and notable past partnerships include Peugeot and Subaru who, like Talbot, are both car manufacturers.